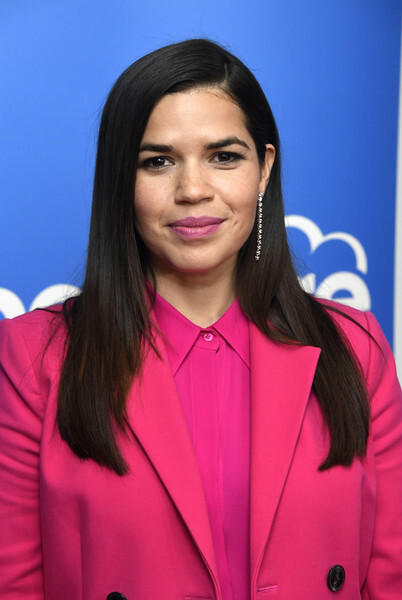 America Ferrera attends NBC And Universal Television's "Superstore" Academy For Your Consideration screening at Universal Studios Hollywood on March 05, 2019 in Universal City, California. America Ferrera went for a sleek straight hairstyle at the 'Superstore' Academy FYC event. America Ferrera added a dose of elegance with a pair of dangling diamond earrings by Melinda Maria.